GIVE YOUR CHILD INDEPENDENCE: They may be small, but toddlers are ready to take on the world! 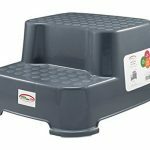 Give them the boost they need with our children’s step stool. From reaching the potty seat and brushing their teeth to helping out in the kitchen, kids will love being more independent. STYLISH, STURDY & VERSATILE : Young kids seem to grow faster than parents can keep up. 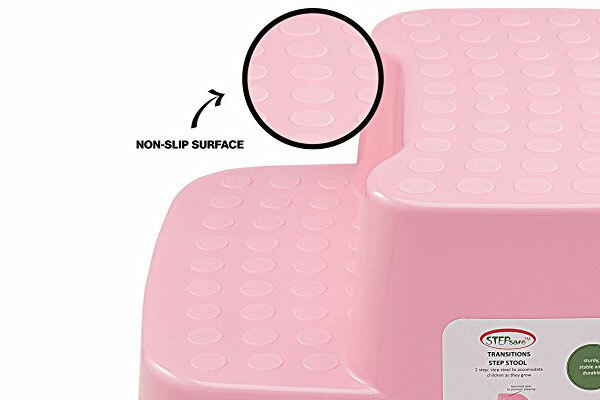 But thanks to its dual height design, our step stool for toddlers accommodates different ages and heights! 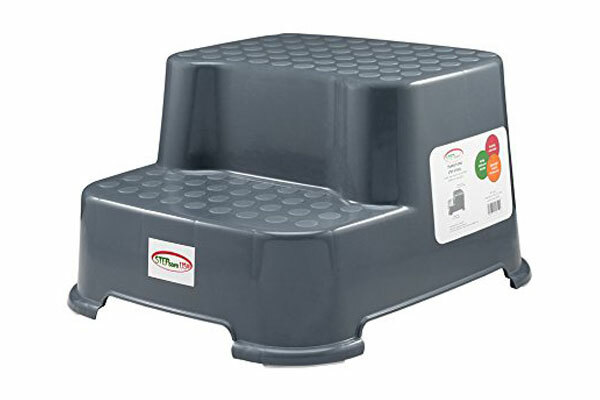 Made from lightweight plastic, it’s easy to move yet can hold up to 150lbs. 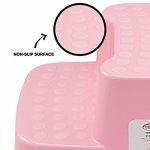 GREAT FOR POTTY TRAINING: When used in conjunction with our matching toilet training seat, our step stool makes potty training a breeze! Made of the same materials and featuring a neutral gray and white color palette, this set fits seamlessly into any bathroom’s décor.